Every review you’ll find on this site is the result of hours of comprehensive research and / or firsthand testing. 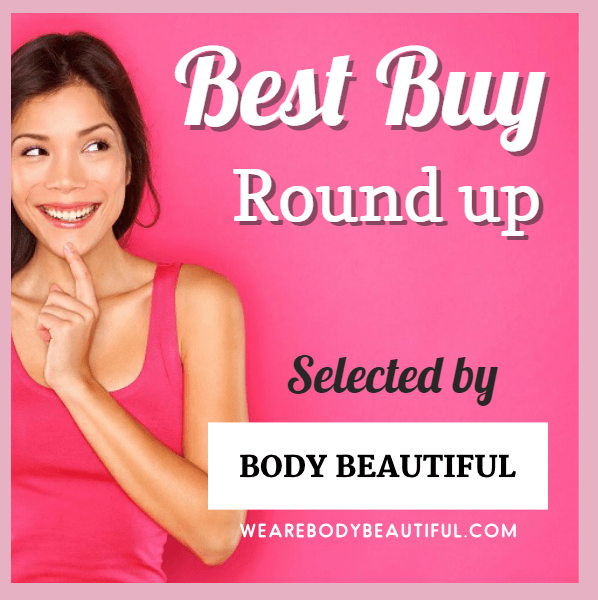 They’re created to give you an objective overview, and based on comparing and contrasting all reviews, a list of recommended Best Buy machines you can confidently buy. You can have confidence and trust the reviews on this site because hours of research and firsthand testing have gone into them. The in-depth reviews are the result. Each review scores the device out of 5 stars against a specific and exacting criteria. In this article I explain the scoring criteria, some additional content I include in my reviews and why it’s important. I hope this gives you confidence to trust my reviews. So first-up, let’s look at how each device is scored. Most devices have limited number of flashes. The lamp lifetime is therefore how long the device lasts you in terms of flashes from the bulb. Some manufacturers tell you how many years of use you should get from it. But the way they work this out varies per device so it’s not easy to compare and see which is best. To help you compare in my reviews, I simply tell you the total body area you can cover with the flashes from each device. The total body area you can cover with the flashes from each device is just a straight-forward calculation of the treatment window area in cm2 multiplied by the number of flashes from the bulb. The higher the number the more treatments you’ll get. I’ve then applied a consistent formula to each to calculate how many full body treatments you’ll get and how many years these will last. You can then compare and contrast each device to see which offers the best lamp lifetime value. You want a device that completes your start up phase, and several years of monthly top-up treatments. This gives you peace of mind you’ll stay smooth for many years without having to buy another device. If you want to understand more about my calculations, expand the section below. The total body area you can cover is just a straight-forward calculation of the treatment window area in cm2 multiplied by the number of flashes from the bulb. Those with the highest number give you the most treatments. e.g. Example 1 gives way more treatments than number 2. But on their own, these numbers don’t really explain how many full body treatments you’ll get over how many years. So, I’ve applied a consistent measurement and formula to each device and now you can compare like for like. So example 1 provides 256.25 full body treatments which is over 5 times as many as example 2 with just 48.75. I’ve then calculated the total number of monthly maintenance treatments you’ll get, on top of the initial start up phase. So 256.25 full body treatments lasts approximately 21 years, and 48.75 treatments lasts just 3.4 years. N.B. A few points to bear in mind. A full body treatment for you may be more or less than 4000 cm2 . It will vary by body size and we’re all very different! So you personally may not get the exact amount of full body treatments I calculate. However, the numbers I share allow a consistent and fair way to compare devices and see which gives more or less than another. Some devices come with additional specialist treatment windows. I use the largest body treatment window size for my calculations. Also, the calculations are based on the lamp lifetime only and don’t take into consideration general usage, battery care and wear and tear that effect how long the machine keeps working. So what lamp lifetime is good? For treating your full body / large areas I recommend a minimum of 5 years. This bar chart shows the lamp lifetime represented by the total body area in cm2 each device will cover. For full body and face treatments, the minimum I recommend is a device that’ll last the start up phase and 5 years of monthly top ups. In reality, you’ll require top up treatments less and less frequently the longer you’ve used it. So it’s likely to last several years more than this. In my reviews, a minimum 5 years of use equates to a 4 star score. 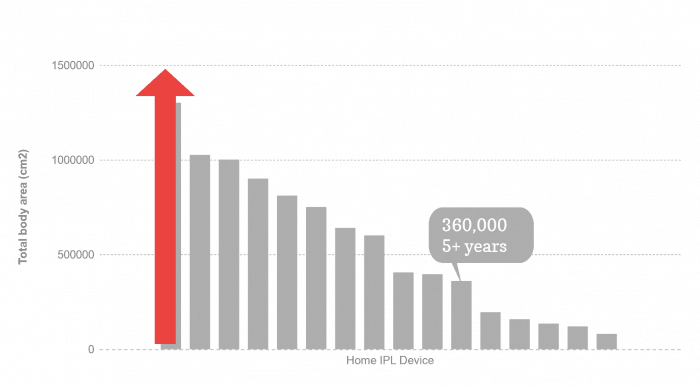 Most recent devices now exceed this 5 year benchmark. Some will give 10, 15 or even 20 years of use. This is attractive when you contrast devices. But bear in mind it’s way more than 1 user needs, so anything above is akin to saying it has an unlimited lamp lifetime. In my reviews I score devices 5 stars that offer 10 or more years of use. Some devices are specifically designed for treating smaller body areas like bikini line, underarms, tummy, forearms and face. They give a smaller total body area coverage because the treatment areas are smaller. I note in my reviews which devices are best suited to smaller areas based on their lamp lifetime. There’s a section dedicated to lamp lifetime or value in each review. TIP: Bear in mind, some brands offer multiple models with a increasing lamp lifetime charged at a higher price. If you’re planning to use on just one person, I don’t think it’s worth paying more for a lamp lifetime above 10 years of use. For example, the Smoothskin Gold 300 with 15 years vs Smoothskin Gold 200 with 10 years, as both provide more than you’ll likely need. An average score of 3 stars means that the device has all the basic features you’d expect such as a skin tone sensor, a functional shape, a glide mode, clear and simple controls, multiple intensity levels for different skin tones and a good build quality. This is what most ‘no-frills’ basic models are scored. For 4 and 5 stars, there’s something a bit more special. It could be cordless operation, or an advanced skin tone sensor that recommends the optimum intensity level for your skin. Or several specialist treatment windows to fit different body areas. Sometimes it’s a combination of small but clever design additions that make it foolproof, and give it exceptional comfort and manoeuvrability in use. For others its an adapted technology that means it works and is safe for people with the darkest skin tones. Quality build, materials and finishing touches such as storage pouches, boxes and cleaning cloths also make the difference. Most premium, top of the range devices score between 4 and 5 stars. There’s a section on ease of use in each of my in-depth reviews. A device that scores 4 or 5 stars for speed is given this icon in their review. This means at the higher intensity levels, they cover a pair of underarms in under 1:30 mins. Some devices are slow. Online reviews comment this makes treatments tedious and uncomfortable. So you want a device that treats your skin quickly. This is especially important if you’re treating large areas, like your upper and lower legs or wanting to do your full body in one sitting. You’ll need a device with a large treatment window and a fast flash rate. It’s hard to compare the advertised speed across manufacturers because they base it on different things. For example, some say how long it takes for a lower leg, some for a full leg. In addition, you don’t know if it’s an average across a sample of legs, or a specific size leg they’ve based it on! So in my reviews I use the technical specification data provided for each device to work out how long it takes to treat a pair of underarms of exactly the same size. I assume a pair of armpits to have an area of 120 cm2. Of course some will be smaller and some larger. This is just a consistent estimate measurement to help you compare and contrast the devices. I then work out how many flashes it takes for each device to cover that area. Next, I calculate how long it takes the device to flash that many times based on the advertsied flash repetition rate. 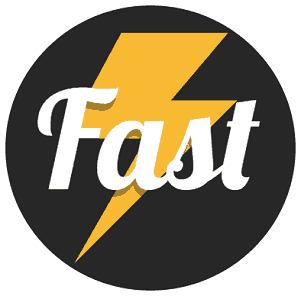 Some devices flash fastest on the lower intensity levels. In my reviews I’ve consistently used the speed on the highest setting. In the review detail I also note the speed at the lower intensity levels which are suitable for darker skin tones. I score devices 5 star if they can cover a pair of underarms in less than 1 minute, 4 star if less than 1:30 mins, 3 stars in 2:00 mins. I also note the advertised time it takes for a full leg. I comment based on my experience and the collated online review feedback. There’s a section dedicated to how quick it is in each review. For the customer support score I consider the support resources available both pre and post sales. I also contact the teams and ask simple and more complex questions to see how quickly and well they respond. I check how clear, concise, consistent and transparent the brand website information is. I look for user manuals, realistic quality of images, safe range skin tones guide, an overview of the key features and specification, comprehensive FAQs and where to buy stockists. Higher scoring brands have manufacturer money back guarantee periods and extended warranties. They have several ways for customers to contact them via phone, email and chat. And responses to questions are prompt, helpful and comprehensive. They also have several post sales support resources, from mobile Apps with how to guides and treatment calendars to live chat technicians. Customer service and support is covered where most relevant throughout my reviews. For each of my reviews, I research the available online feedback. I collate a full picture of each device for you, so you don’t spend hours doing it yourself. I’m mindful of duplicate or suspicious reviews that seem more like marketing promotion. I discount them from my round-up to ensure it’s objective. First I summarise the negative 1 to 2 star comments, then those with a neutral 3 star rating. Finally, I round up what reviewers from the positive 4 and 5 star reviews liked. From this, you’ll be aware of any worrying commonalities such as technical faults, or poor customer service. You’ll get an overview of user niggles and frustrations. And the speed and breadth of hair reduction results experienced. You’ll also see what nuggets and tips reviewers share and their helpful, firsthand quotes. There’s a section dedicated to online feedback in each review. What else is in the reviews? I also provide information on the budget range each device is available at, the alternative devices you should consider, I sum up the pros and cons and give my thoughts on if you should buy it. I also provide links for where you can buy. I link to retailers with a good shopping experience, fair prices and good customer service. These links are affiliate links. This means for each sale that results from a click, I get a percentage commission. You don’t have to click these links, but if you do I appreciate it as recognition my reviews have been helpful to you. I assign each device a price range. This is based on the lowest price it’s commonly available at. For some this is the recommended retail price, and for others they are permanently on sale. Some devices are not available in different countries. For example, my highly rated Philips devices are not yet available in the USA because they do not yet have FDA clearance. You won’t find a USD $ price range for them. I compare and contrast the similarities and differences of the closest alternatives for your consideration. In some cases this is to compare an older and newer version of the same device, or model variations. In other cases it’s a completely different option at a similar spec, popularity or price. I’ll highlight what’s similar and different and also why you might prefer one over the other. I’ve researched in detail or tested all the devices I’ve reviewed. So I’m happy to share my objective comparisons to help you make the right choice. And to save you time. Thanks for taking the time to understand what makes the difference with my reviews. I hope you’re confident they’re the result of genuine hard work and attention to detail! 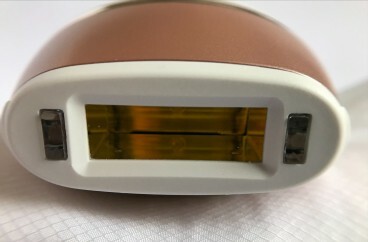 To start on your quest for the perfect at home IPL hair removal device I recommend you start with my Best home laser hair removal guide & reviews. In there, you’ll find the key questions to understand if home IPL is suitable for you and a list of my recommended Best Buy machines.